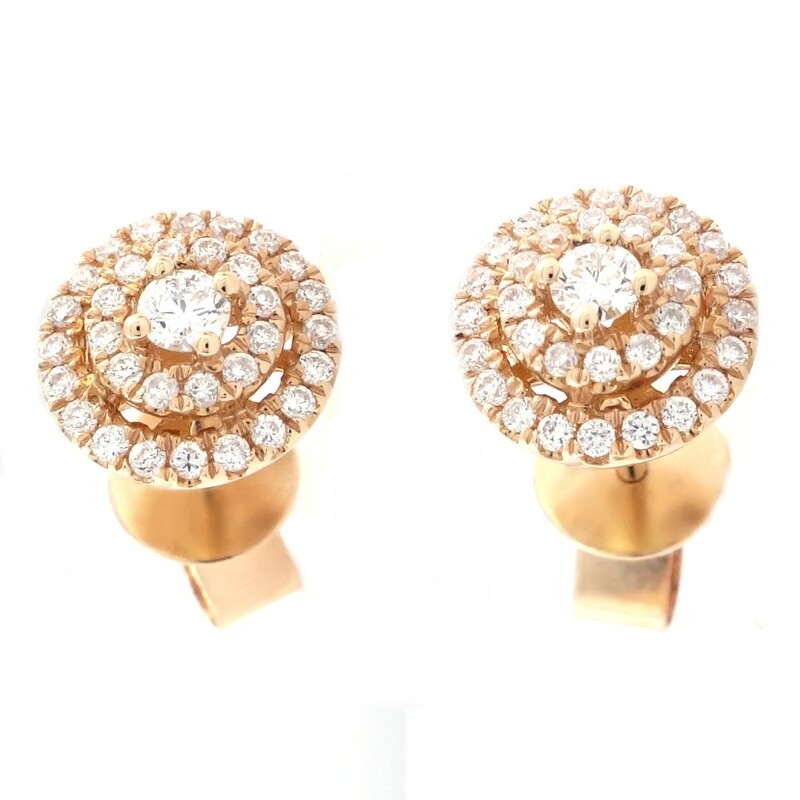 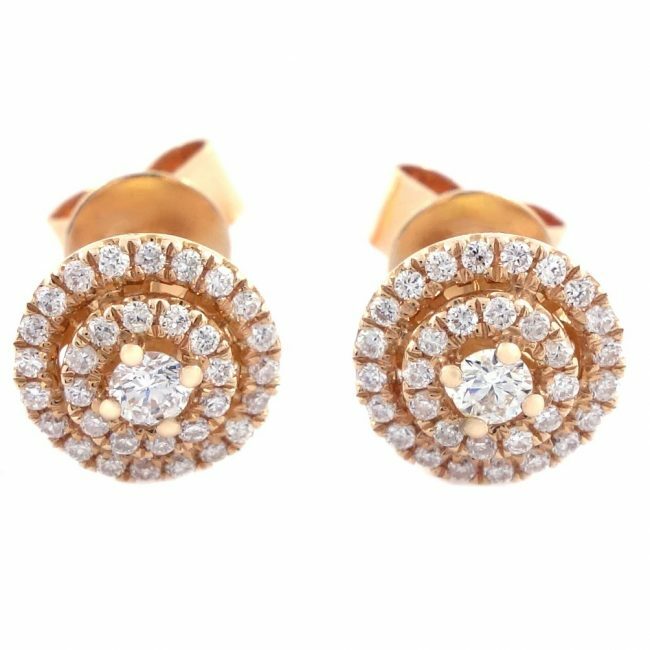 This enthralling pair of diamond earrings has been set with a total of 66 diamonds totaling 0.34 carats in weight and is formed of 18k rose gold. 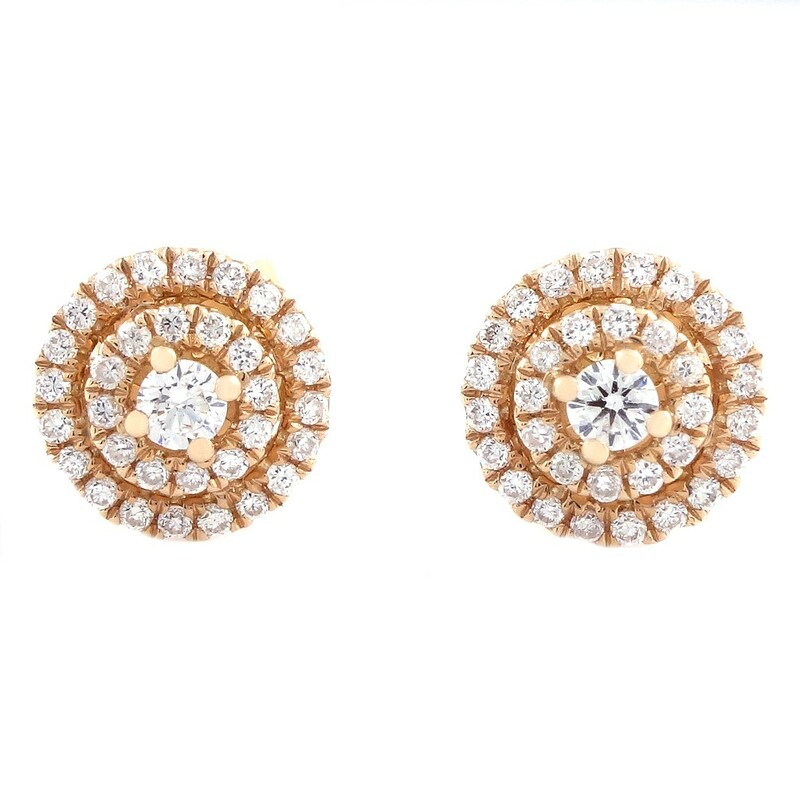 The pair of diamond earrings you are currently viewing is a fine jewel that makes a standout addition to your jewelry collection and is bound to light up your look. The diamonds on this pair of diamond earrings have been expertly set by hand by an experienced setter using a technique involving a microscope, which ensures a top level finish.